Agave, derived from the cactus, is known as a popular alternative to common sweeteners like sugar. But it has many secrets that aren’t known, even among alternative sweetener enthusiasts. 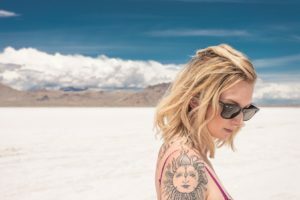 What do tattoos, paper, rope, and lip balm have in common? Yep, that’s right: Agave. While most people today only think of agave only as a sugar substitute, or perhaps only remember its associations with tequila, it actually is much more versatile plant that deserves a place in the pantheon of plants that provide more than just the occasional flavor enhancement. Agave is an incredibly useful plant in a number of different ways. Let’s take a look at a few of its other, less conventional uses. Many of you may have already tasted the sweet nectar, and might even have a jar on your shelf. It’s a vegan substitute for honey – it never once comes in contact with anything that has legs while being made. In order to extract the syrup, the leaves are cut to reveal the core. It’s the core – also known as the pina – that holds the sap, which, once extracted, is filtered and heated to break it down into sugar. This in turn leaves us with sweet agave nectar. Do be careful with portion control: Agave sweeter than your average teaspoon of sugar – about 1.5 times sweeter, in fact, so you don’t need to use as much, Interestingly, while agave is sweeter, it has a low glycemic index, which means it won’t cause your blood sugar to spike the way that, say, a can of Coke will. And, just because it can be, it is also gluten-free. Perhaps more importantly, agave has uses that extend far beyond simple flavor enhancement. As we discussed in a previous post, 13 ways Agave Is Pretty Much the Best Ever, agave has plenty of medical uses as well: Constipation, jaundice, dysentery, scalp infections — all of these illnesses and then some have been treated by agave’s roots, sap, juice, and/or leaves. Agave has anti-inflammatory and antiseptic properties, which allow it to heal wounds, burns, and skin irritations. Agave has also been used in treating toothaches by applying a gum made from the plant’s roots and leaves to the aching tooth. This soothes the pain and allows it to heal. More cosmetic uses are important as well: Agave makes fantastic soap. If you find yourself smelling after wandering through the desert, maybe you should find some agave. How? The leaves and roots contain saponins, which can be made into a cleaning agent – by using an extract from these parts of the agave you can make soap. Okay. We’ve discussed the healing properties of agave. But, as it is something you ingest, even the most fascinating of the aforementioned medical and healing uses might not come as a complete surprise – many plants are amazing for what they can do for the human body. Nature is incredible. Agave has more permanent uses as well: Before modern day needles and ink, agave was also used to ink tattoos. Here’s how: The tip of the thorn is sharp enough to act as a needle, that part seems somewhat obvious. But the ink? That too. Agave can be burned and ground into charcoal, which provided the ink. And, speaking of needles, the agave leaf is a natural sewing kit as well. When carefully removing the thorn at the end of the leaf a few feet of fiber remains intact. You can remove the thorn by pounding the leaf until soft, and then scraping the leaf until the fiber and thorn can be removed. The fiber acts like thread, and the thorn like a needle, allowing you to patch up whatever needs fixing. Note: agave plants are known to cause a skin rash when coming into contact with bare skin. Wearing a thimble or perhaps a glove. Day-to-day uses, while maybe not as life-changing as health effects or as edgy as tattoos au natural, also set agave apart – and might be their most creative piece. Native Americans used agave to make rope. How? One method involves burning the leaves until charred, and then soaking them in water. Another is to boil the leaves. After charring or boiling the leaves, everything except for the fiber is removed. The tough, virtually unbreakable fibers can then be wound into a rope. What else? You can write on it: Similar to papyrus, agave leaves were for many years used to make paper by peeling them and allowing them to dry in the sun. As was published in Scientific Americana, agave “…holds the place of Asiatic hemp and Egyptian papyrus. Ancient hieroglyphics were inscribed on the leaves, macerated in water and glued together as the bark of paper mulberry.” The leftover fibers, turned to pulp from making tequila, can be used to make paper as well. 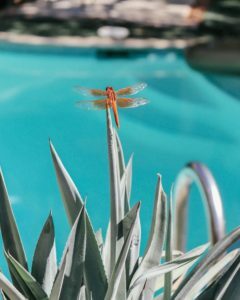 And, when it comes down to it, the agave plant is pure and simply edible: The flowers, the stalk, and the root of the agave plant can all be eaten. Historically, Native Americans roasted the agave leaves in pits. While this was a time-intensive project, taking a few days or more, it was worth the effort: The results were ground into a powder that could be stored for years without spoiling – especially important during the times when food was most scarce. 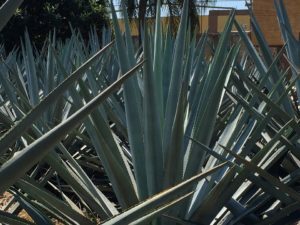 These days, of course, agave is typically consumed either in syrup, or tequila form. Interested in learning more about agave and food? Check out our Food Applications page for more information.